Over the past several years it appears that a number of persons who have been recognized as Orthodox Christians have taken their lives, as well as some who leave in their wills that they wish to be cremated. On the basis of these two realities, it is obvious that many of our people have no understanding of the sanctity of the human body and have not been educated on the seriousness of these matters relative to the fact that they consider themselves members of the Church. In the matter of suicides, if a person is considered in his or her right mind and commits suicide, the only interpretation that the Church can give is that such a person rejects the life given to them by the Holy Spirit. The result is that the Church does not offer a funeral service to that person. The reason for this is that the funeral service is reserved only for those who believe in the resurrection of the dead and eternal life after the resurrection. Therefore, the only time a funeral is conducted for a suicide is on the basis of a doctor’s reputable statement that the person committing suicide was not in his or her right mind. Aside from this fact, cremation goes contrary to Holy Scripture. One good example is found in St. Paul’s First Letter to the Corinthians where we read, “…glorify God in your body and in your spirit which are God’s (6:20).” In other words, our bodies and souls belong to God, and not to us. Therefore, we have no right to do with our bodies what we please. In addition to all of this, there is even a greater reason why cremation is contrary to our Christian faith. Simply put, it desecrates the body. Moreover, the so-called ashes from a cremation are not ashes. They are the crushed and pulverized skull and bones of the body, the arms and legs. They are put through a grinding machine which actually turns the bones into dust. more important than the divine blessing of the Holy Spirit upon the deceased body throughout the years that the body was the recipient of those holy blessings. 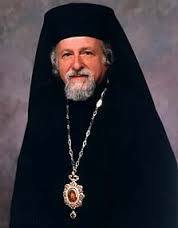 On the basis of these realities, it is the responsibility of not only the clergy, but of all our faithful Greek Orthodox Christians to do whatever they can do, in a positive way, to impress upon those who accept this pagan practice that it is wrong. The fact that the deceased body of an Orthodox Christian receives multiple blessings from the Lord in preparation of the eternal Kingdom, any violence upon a dead body is the desecration of God’s temple. Published in the April 2016 issue (p. 11) of the Orthodox Observer.